We try and describe our jewellery the best we can, but here are some useful tips on sizing. We want you to have the perfect length necklace, this illustration should help. Use a piece of string! When you measure your finger, make sure they are not too hot or cold. 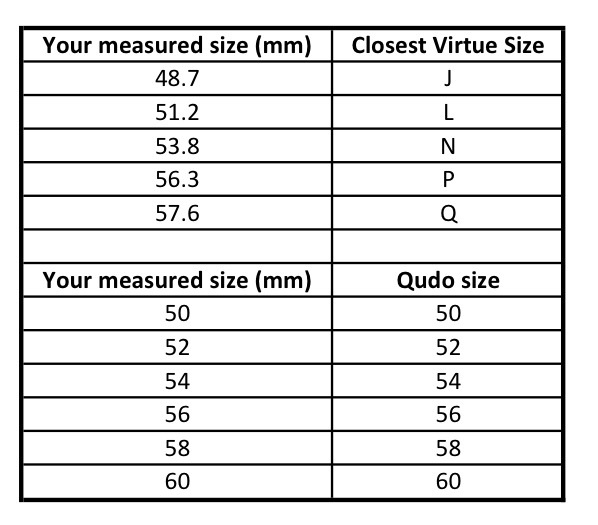 Look up your size on this easy chart. If you are between sizes please choose the next largest. Also, if you are stacking rings sometimes it’s best to go up a size on the second / third ring. Also with thicker rings it’s sometimes better to go up a size. Please call or email us if you need any help.